1.4m schoolchildren demonstrated across the world on Friday 15th March to call for systemic change to safeguard their future. The schoolchildren name extreme weather events, access to drinking water, health, air temperature, peaceful communities, biodiversity, clean air and jobs for the future among their worries. While no single measure can protect us from all of the threats triggered by climate change, one type of transformation does manage to tick a startling number of boxes: urban nature. Increasing the area, accessibility and quality of natural green space in cities is an immediately tangible and effective response to the host of concerns voiced by the junior climate activists, and also moves towards the European Union’s strategic goals of decarbonising the economy and improving social cohesion. The World Health Organisation recommends that urban residents should be able to access public green spaces of at least 0.5–1 hectare within 300 metres’ linear distance (around 5 minutes’ walk) of their homes. Public green space improves public health, protects critical infrastructure from climate change impacts and saves the public purse the cost of treatment and repair further down the road. 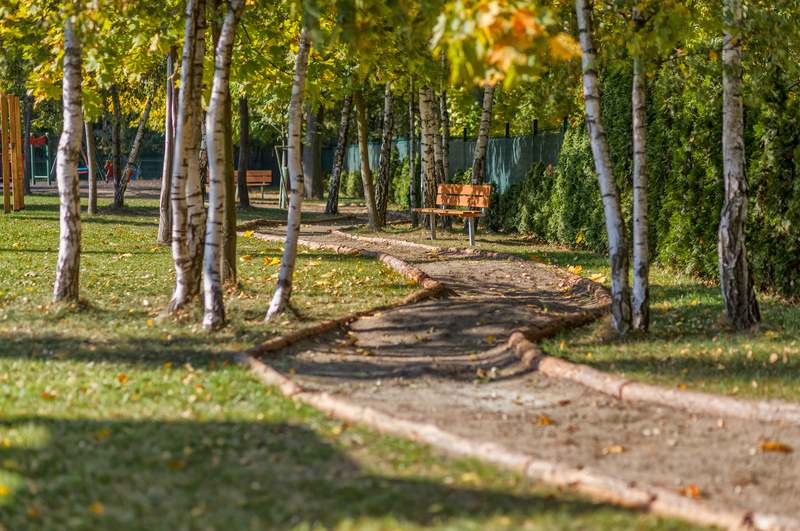 Urban green space is typically considered to be the responsibility of local governments and as such, municipal budgets are expected to cover their provision and maintenance. Once in place, businesses in the vicinity of green space profit through increased footfall, the number of employees’ sick days drop, insurance costs and energy bills fall and property owners are gifted higher rent and house prices. According to Peabody Residential Research & Strettons, a cleanup operation around a lake in East London would cause property values to jump by up to 12.5%. Fundamentally, investment in green space is paid back with dividends. However, unlike in some other industries, the profits and savings generated from investment in green spaces evade the original investors almost entirely, and flow instead to other sectors or other public sector bodies. Some creative and committed cities in Europe have been following the paper trail to explore new ways to fund the green spaces citizens want and that the environment needs. The city of Hamburg (Germany) has introduced an innovative subsidy on green roofs in a bid to green 100 hectares of Hamburg’s roofs by 2020. As part of the scheme, property owners are eligible for subsidies of up to 60% of the cost of installing green roofs. For example, the subsidies provided for the installation of a green roof with 300m² net vegetation area could save the owner €4,468. Buildings located in the inner city area or roofs with open-space that are publicly accessible receive an additional financial bonus on top of this. Owners are also exempt from 50% of rainwater fees, leading to further savings. The green roofs offer benefits of their own in comparison to gravel roofs: reduced energy costs due to better building insulation from the thick layer of soil and lower wastewater costs due to green roofs’ ability to soak up rainwater. The green roofs have also been found to increase efficiency of solar panels and to be more durable in the long term compared to traditional flat roofs. The Hamburg Ministry for Environment and Energy has put forward €3m until the end of 2019 for the scheme, and it has proved a resounding success. Justus Quanz of Hamburg’s Ministry for Environment and Energy reports that he and his colleagues receive weekly inquiries from at home and abroad, from small local authorities to federal states to the World Bank since the introduction of the scheme, as well as an astounding number of references in reports and publications. He explains that they have been a pedagogical help to schools in teaching about climate change adaptation, and have helped public understanding and visibility of climate adaptation as well as increased awareness of insect mortality. The city of Poznań (Poland) looked outside the environmental department for a potential source of funding for green development. 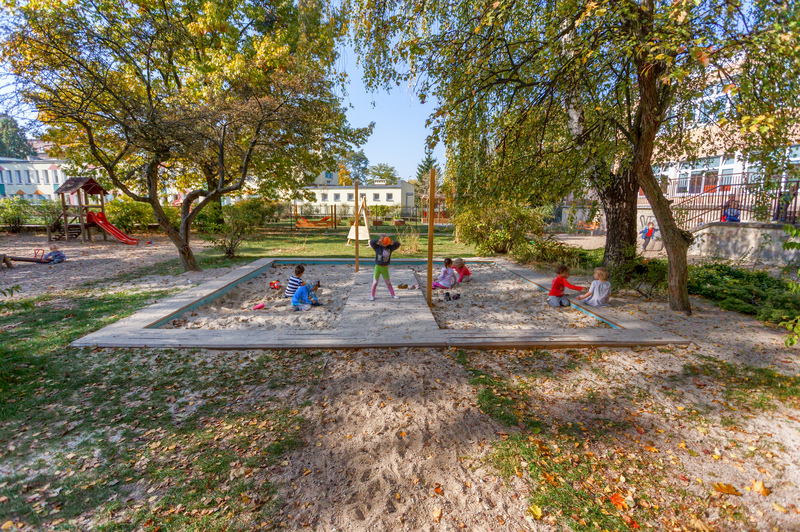 A Department of Education budget had been allocated for the renovation of old playgrounds as part of the Program for the Modernization and Development of Playgrounds in Kindergartens in 2016-2020. As part of the Connecting Nature project, the Project Coordination and Urban Regeneration Office got together with the Department of Education to agree to work together to make the planned renovation a green one: and thereby use the education department’s budget for the dual purpose of renovating the playgrounds and for increasing urban nature in the city. Children were brought in to help design the space, and mini-installations were placed in 10 kindergartens, including a house for insects, flowerbeds in which children can grow plants, a mini weather station, a rainwater collection system, a green table and a natural hut made from willow shoots. The old asphalt surface was replaced with natural grass and sand. The path and meeting circle have wooden elements, and the garden includes an earthy hill, stumps, natural earth paths and labyrinths. “Following the successful pilot implementations in 3 kindergartens, we decided to create an internal City Hall financial mechanism - by linking money from the yearly city budget earmarked for investments in 10 kindergartens with the money from the Connecting Nature project devoted for ‘natural design’ and eco-education for teachers and children,” adds Madajczyk. The project has been so well received that it is planned to be rolled out to dozens of further playgrounds across the city in the coming years. In London, environmental and social goals were brought together as part of the Queen Caroline Estate programme by environmental organization Groundwork. Sustainable Urban Drainage Systems (SuDs) were retrofitted to social housing, connecting surface water drainage to the combined sewer system. The project was intended to manage flood risk, improve water quality and act as natural cooling and to reduce exposure of vulnerable communities to climate change effects, increase health and wellbeing and increase community engagement. While water and environmental benefits were monitored using water stations, flow sensors, pressure sensors, thermal imaging and biodiversity surveys, social indicators such as the number of jobs created and stakeholders engaged were also considered. According to a Social Return on Investment analysis, £4.39 of benefits was generated for every £1 invested. These cities belong to a group of European cities laying a financially sustainable foundation to ensure the provision of urban nature: and they are appropriating the tools and techniques of private sector investors to do it. As part of Connecting Nature, Poznań, Genk and Glasgow have begun to use the Business Model Canvas approach – widespread in the private sector but practically unheard of in municipal government or public administration – to demonstrate the different kinds of benefits that urban green provide, to help them make their case for financing nature-based interventions. 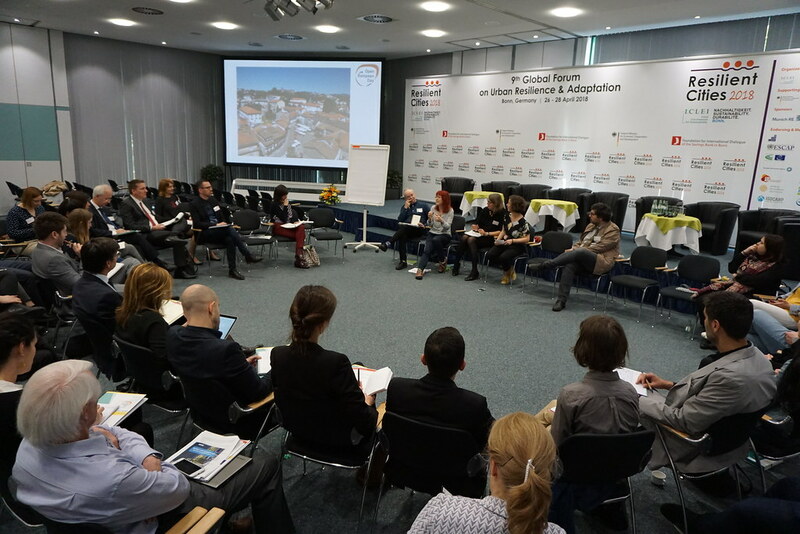 The Connecting Nature project will provide free training in this technique for local governments at the European Urban Resilience Forum in June 2019. London and Hamburg are working as part of the CLEVER Cities project to use nature-based solutions to address urban challenges and promote social inclusion in cities across Europe, South America and China. As part of this process, Social Finance is supporting the cities in creating a way to measure and value the impact of nature-based solutions: on the environment, on society, but also on the economy. This approach identifies who benefits from the positive impacts of nature-based solutions and creating associated revenue streams to pay for these benefits. In some cases, the beneficiaries might be the ones paying directly for the measure. For example, residents could pay for household water provided by a rainwater harvesting system, and this income could help to cover the costs of running the system. Alternatively, a link can be made between donors and beneficiaries, such as the health service contributing to the development of a green corridor. This approach will be shared at the workshop session “Exploring nature-based solutions financing approaches and knowledge needs from a city perspective based on practical cases from Hamburg, London and Turin” at the European conference on innovative financing for creating green cities on 26-27 March 2019 in Manchester, United Kingdom. The session will be held on March 26, from 10.00 to 11.30 am and participation is free of charge. The Friday climate marchers in Hamburg and around the world have made themselves heard. Now, local leaders have taken up the task of bringing all sectors of society with them in the transformation to a greener and more sustainable form of urban development.